3 Bedroom Detached House For Sale in Nottingham for Offers in the region of £275,000. Outstanding home! 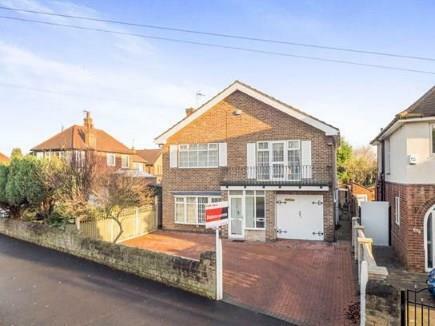 Three double bedroom detached house. The property benefits from an integral garage, modern decor and spacious living area. Accommodation comprises; porch, hall, living room, family room, fitted kitchen, dining room and downstairs WC. Stairs leading to landing, first double bedroom, second double bedroom with storage cupboard and balcony, third single bedroom with built in wardrobes, bathroom. To the front is a double driveway and integral garage. A viewing is highly recommended for this modern family home! Spacious reception room with hard flooring and a bay window. Bedroom three with upvc over looking the rear.